NAPLES, Fla., (Sept. 17, 2018)—Judges for the 2018 Aurora Awards have named Wegman Design Group as a Silver Aurora Award winner in its annual competition, which honors architectural design, interior design and planning excellence, drawing entries from throughout the Southeastern United Stated and Eastern Caribbean. The winning project is the remodel of Moorings Park Clubhouse. 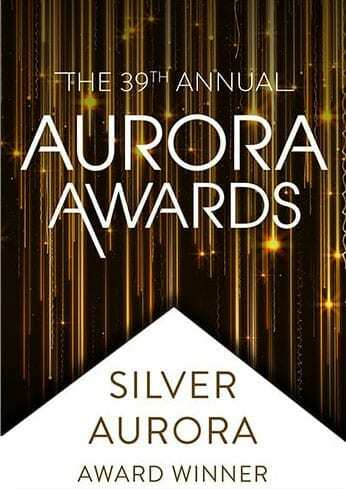 Silver Aurora Awards Honorees are the top vote recipients in each category and are the finalists for the Grand Award. Originally built in 1980, Moorings Park’s clubhouse renovation and expansion of its main clubhouse was a transformative project that encompassed the opening of its new casual restaurant, a light-filled 24’ entry lobby, and an expanded conference center. The Park Grill was designed to replace the old grill room with a newer more popular venue to attract younger residents and to meet the expectations for healthy fresh food for lunch and dinner. Fresh, clean, warm and nature were the inspirational words used to define the design and menu. The clubhouse now has a redesigned exterior arrival and entry sequence, which includes a porte-cochere, virtually transforming the original building into a modern welcoming place. The conference center houses a boardroom for 40, and a smaller conference room with seating for 14 was added, enhanced with brilliant multi-media capabilities. Both spaces have state-of-the-art acoustical treatments, access to a new serving kitchen, and views of a tranquil water feature at the front of the building.